A new Korean and barbecue spot has opened its doors in the neighborhood. The new arrival to West Loop, called So Gong Dong Tofu & Korean BBQ, is located at 711 W. Jackson Blvd. (near Halsted St.). This newcomer--located inside H-Mart, which recently opened in February--has multiple locations in Illinois, New York, Ohio and New Jersey, according to the business' website. The restaurant specialize in Korean tofu stews, barbecue, bibimbap and more. In addition to offering traditional dishes like marinated beef short ribs and pork, chicken or beef bulgogi, there's a build-your-own stew component to the menu. With a five-star rating out of two reviews on Yelp so far, So Gong Dong Tofu & Korean BBQ has been warmly received by patrons. Jordan H., who was among the first Yelpers to review the new spot on February 23rd, said, "We finally got a So Gong Dong in Chicago! Definitely the best soondubu in the Chicago downtown area. Super great staff, friendly and helpful. Regular spicy is nice and spicy." 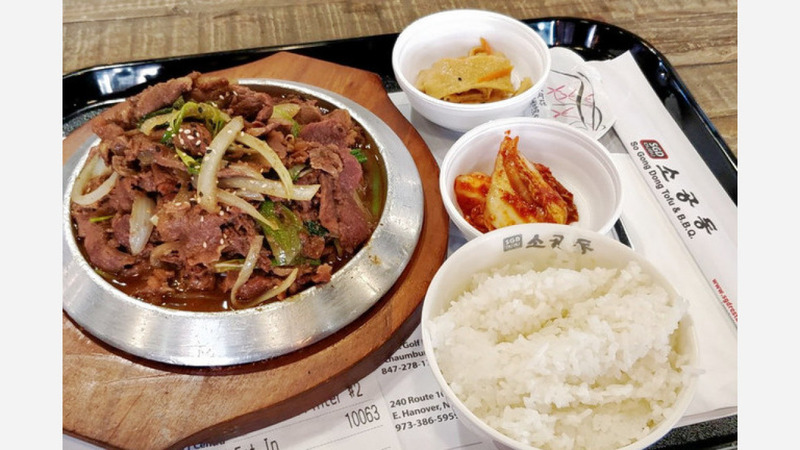 Yelper Vivian M. added, "Located inside H Mart in the food court section. There are three food options. This tastes the same to the one in Glenview; so awesome to have it in the city now." Swing on by to take a peek for yourself: So Gong Dong Tofu & Korean BBQ is open daily from 11am-8:30pm.